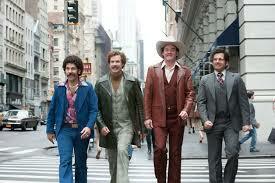 Anchorman 2: The Legend Continues – Did You See That One? 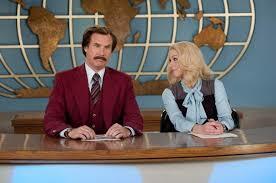 Ron Burgundy (Ferrell) and his wife Veronica (Applegate) have both enjoyed the perks of working as network news anchors. When Veronica is promoted and Ron is fired all of this changes. Now Ron is bringing back his news team in preparation for the launch of the first 24-hour news channel. 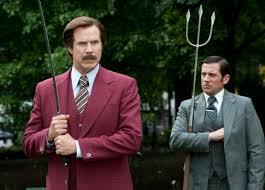 Alongside Champ (Koechner), Brick (Carell), and Brian (Rudd), Ron is hoping to reestablish himself as a leading newsman. When you need something ridiculous look no further than Adam McKay (Talladega Nights: The Legend of Ricky Bobby) and Will Ferrell (The Other Guys). These two have worked together on a number of successful comedies and this is their first attempt at a sequel. Thankfully, the film brought back all of the stars from the first film. This includes Will Ferrell (Elf), Steve Carell (Crazy, Stupid, Love. ), Paul Rudd (Clueless), and David Koechner (Hit and Run) as the Action News Team. The film also features the return of Christina Applegate (The Rocker) and Vince Vaughn (Wedding Crashers). This movie also features a number of new faces including Harrison Ford (Ender’s Game), Meagan Good (Brick), James Marsden (X-Men: The Last Stand), and Kristen Wiig (Despicable Me 2). So with a great cast lined up, the story needed to be good. This isn’t a movie that needed a huge epic story. It really just needed a good vehicle to allow the humor to stand out. 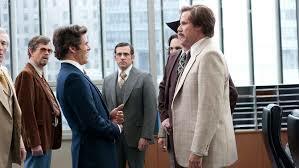 Thankfully, Will Ferrell and Adam McKay rose to the occasion. The movie has a fun story with a number of little twists that all play right into the strength of the film which is the comedy. The jokes are all new and nothing seems rehashed from the first film. They still play on the odd nature of the characters, but nothing that seems to replay old jokes. The characters in this movie are all very interesting. The new characters in this movie are fun and nicely created to fit right into this strange world that McKay and Ferrell have invented. 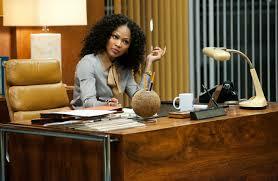 I think that Meagan Good and James Marsden were the highlights of this film in respect to the new faces. 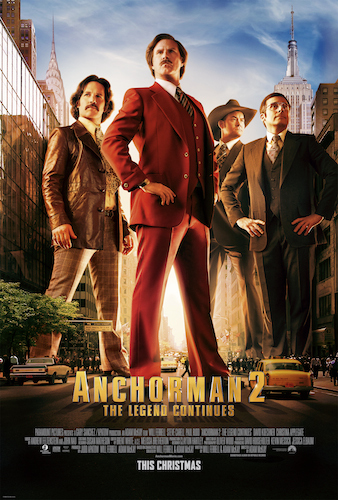 Overall, this movie was still all about the comedic skills of Will Ferrell. This isn’t a Mel Brooks comedy. If you’re looking for a tight story with strongly scripted moments this one will disappoint. It’s a movie that relies on the natural ability of the stars to be funny. This isn’t to suggest that the script wasn’t strong, but that the stars had a lot to do with how scenes were conveyed. It’s evident from the jokes that the actors really bought into this one. There isn’t a lot to say about a movie like this. The visuals are grander and the sets are bigger, but that’s what a bigger budget can get you. It will also get you a lot of stars willing to do cameos throughout the film. I think this is a great followup to the original film that will make fans happy. If you liked the first film, or you’re a fan of the stars, this is a great movie for you. I would also recommend this one to fans of oddball comedies since that’s basically what this is. I give this one 3.5 out of 5 stars. Good review Jeff. Not as hilarious as the first, but still funny altogether and that’s all that mattered to me. Thanks for reading. I enjoyed it and I’m glad that you did also. I didn’t compare the two very closely, but I think you probably feel the way most people do. Pingback: The Lego Movie | Did You See That One? Pingback: Knocked Up | Did You See That One?